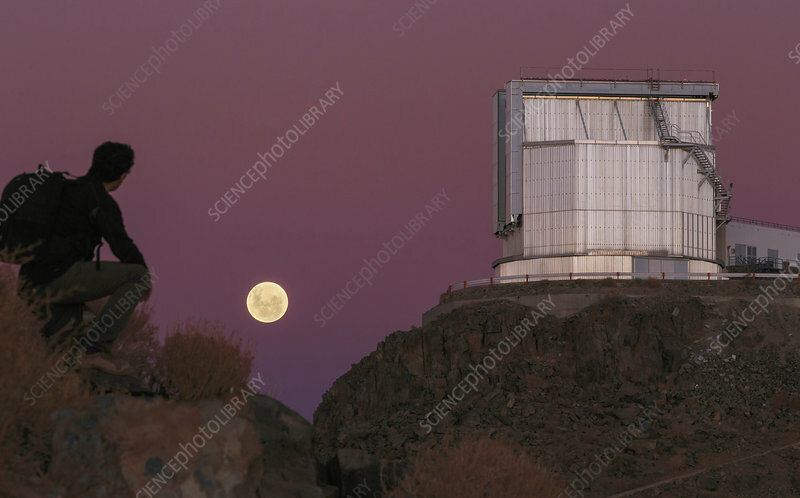 A hiker watches the full moon rise behind the 3.58-metre New Technology Telescope (NTT) at La Silla Observatory, Chile. The NTT was the first telescope in the world to have a computer-controlled main mirror (active optics). La Silla is at 2400 metres above sea level on the edge of the Chilean Atacama Desert. It is operated by the European Southern Observatory (ESO).